Although there are many different types of congressional hearings, some of the most well known and often discussed in the media are oversight and investigative hearings. Such hearings may be conducted whenever a committee chooses to do so, although they are often conducted in association with a public policy question or an accountability matter. Oversight hearings can also be combined with authorization or legislative hearings, particularly whenever there is a routine review of a federal program. In many ways, the oversight function of Congress is like a quality control study. Oversight and investigative hearings can include periodic and selective reviews of federal agencies and departments as well as their policies, activities and programs. This especially relates to the way in which federal laws, programs and regulations are administered. Oversight hearings can focus on federal program quality. The goal of an oversight hearing is typically to ensure that the agencies of the executive branch are administering federal programs in the way that Congress intended. Such hearings can also be used for the purpose of correcting behavior of the executive branch. Congress may utilize oversight hearings to enhance the effectiveness, responsiveness and efficiency of government operations and programs while also working to identify and eliminate fraud and abuse. Overall, oversight hearings form an effective tool for congressional committees to scrutinize the implementation of programs and laws by the executive branch. The focus of investigative hearings usually involves the suspicion or the suggestion of wrongdoing within governmental ranks. In some cases, it can even involve possible allegations of a criminal nature. 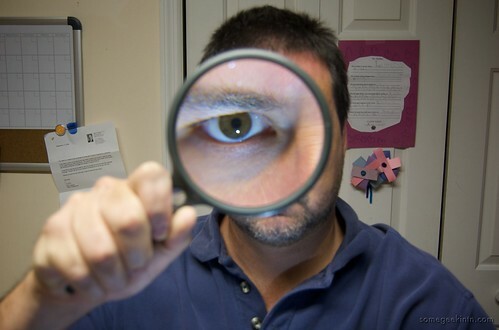 Investigative hearings are similar in many ways to other types of congressional hearings; however, a major difference involves the focus on wrongdoing or a breach of responsibility. Congress, as well as congressional committees, have quite a broad authority related to investigatory hearings. Problems that are uncovered during an investigative hearing can often lead to new legislation that may relate to federal funding or result in referral to a federal or state court. Some of the most famous examples of congressional investigations include the Titanic investigation of 1912, the Teapot Dome scandal investigation, the Army-McCarthy Hearings in 1954, the Watergate investigation in the early 70s and the Iran-Contra investigation in 1987. 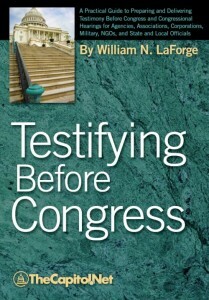 Reference: Testifying Before Congress, by William LaForge, Section 1.56 Oversight and Investigative Hearings.